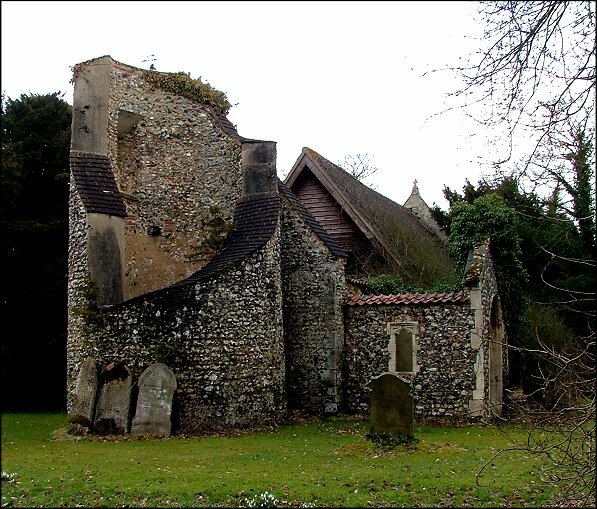 St Margaret is surely the most elusive of all Norfolk churches. You would never think to look for it if you didn't know it was there, and even then you might not find it. To reach it, you leave a minor back road near Weston Longville and enter the Morton Hall estate. The lanes into the estate are narrow, cutting deeply through high banked woodland, and you pray that nothing will be coming the other way. In summer it must seem even more secretive, as if you are heading into some arcadia apart from the everyday world. Eventually, you come out into the yard in front of the Hall, and way above you on a bluff, reached by a precipitous footpath, is the church. Externally, this is a very curious building. 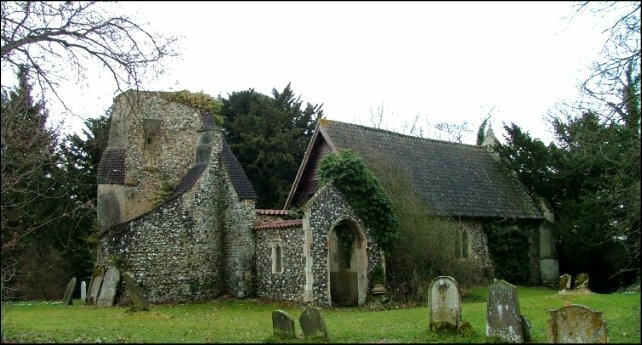 A high-pitched roof covers the easterly two-thirds of a small medieval church. To the west, there is an extraordinary shape, all that remains of a round tower. The western third of the ruin has been left open to the elements, but the walls smoothed off as if this was a vast modern sculpture. 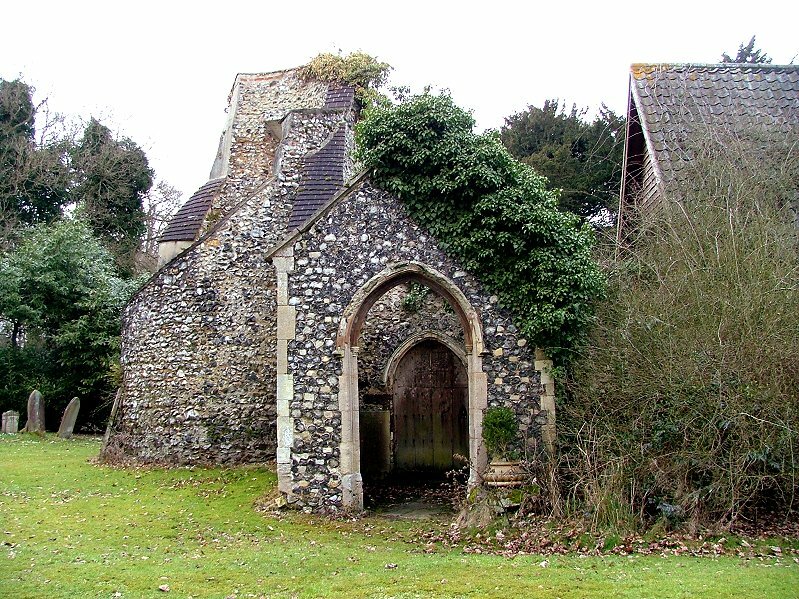 The porch in particular seems very odd, but still contains a medieval door. Behind it is only the open air. It was on Easter Sunday 1959 that the tower collapsed, shortly after the Verger left the building. As he reached the yard below, he heard a noise that he later described as sounding like a lorry load of shingle being tipped out. 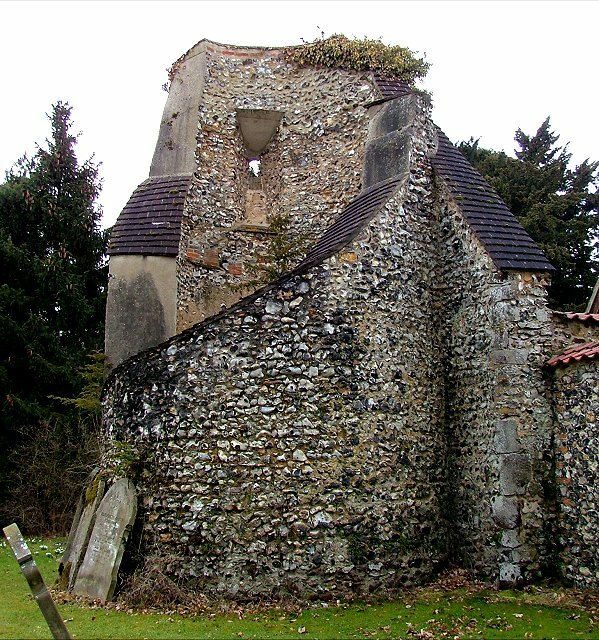 The tower fell into the nave; the furnishings that could be salvaged were removed, and for a long time after that the ruin was just left. It filled up with brambles and elder; too remote to suffer serious vandalism, it was not beyond the reach of souvenir hunters who looted the brasses, of which more in as moment. 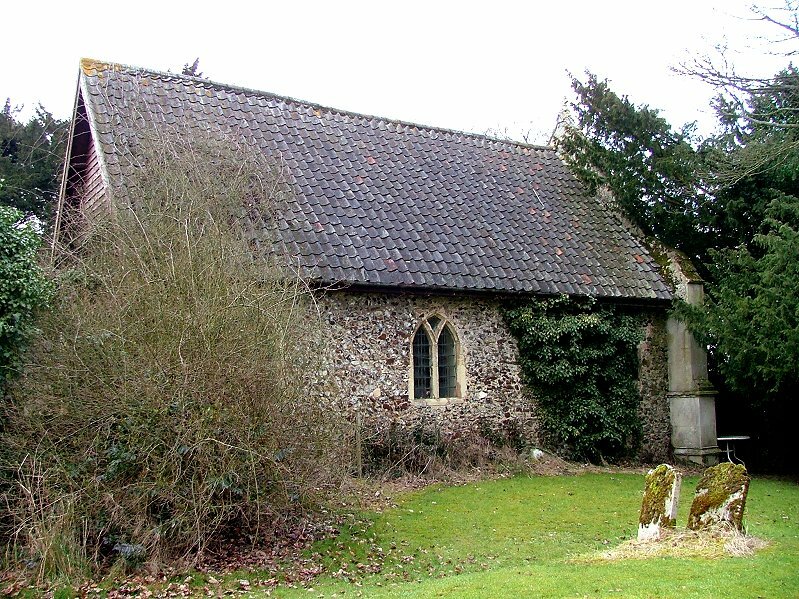 It was not until the late 1970s that Lady Prince-Smith, resident at the hall, took St Margaret in hand with the help of the redoubtable Norfolk Churches Trust. 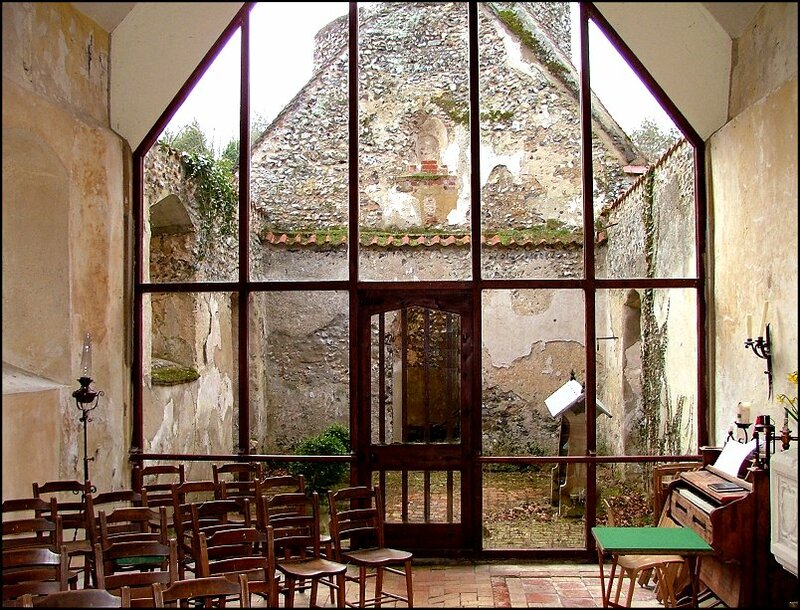 A glass screen was built across the nave, and the part to the east reroofed. 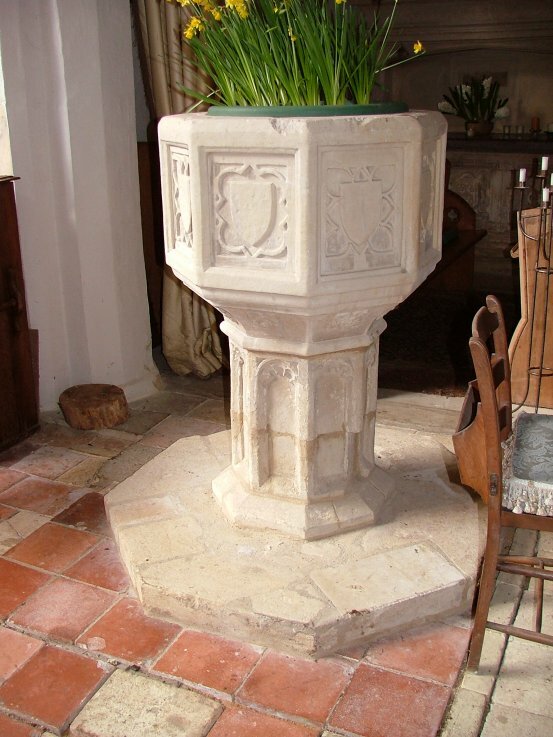 The font was moved inside and reconstructed. 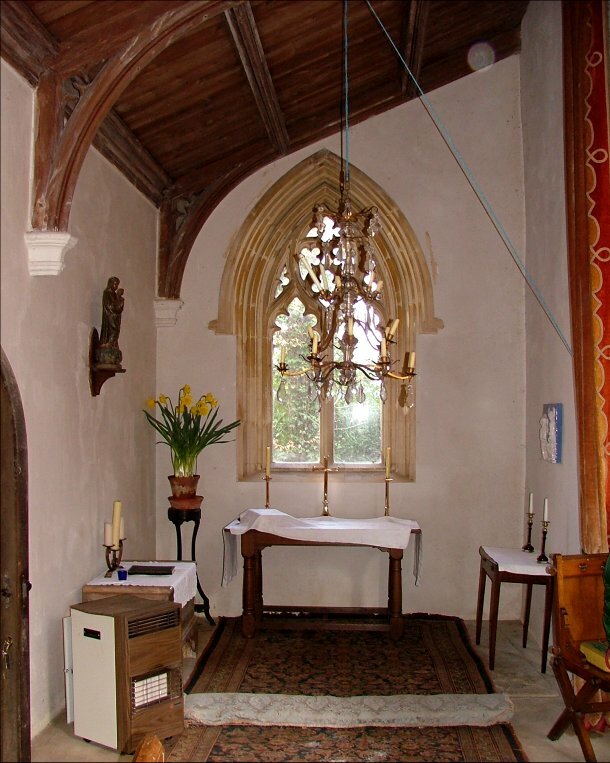 The brick floors were repaired, panelling from the screen reset on the sanctuary walls, and the east windows repaired with clear glass. You step into a wonderfully atmospheric space, restored sensitively and innovatively, and still used for occasional services. There is no electricity, but this building is always full of light. One of the regular events at St Margaret is an annual memorial service to its most famous ex-parishioner. Morton Hall was home in the 16th and 17th centuries to that most significant family in recusant history, the Southwells. Robert Southwell was hung drawn and quartered for being a Jesuit, and was canonised as a martyr Saint by Pope Paul VI in 1970. 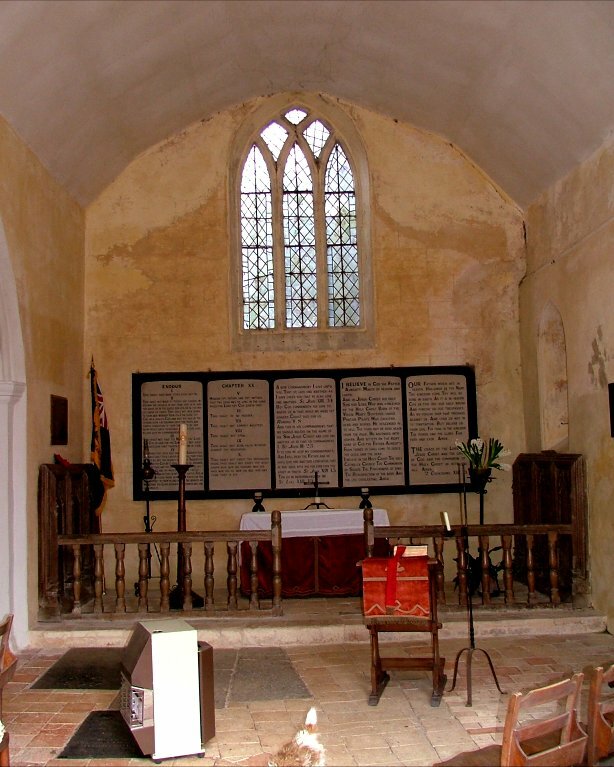 Two of the Southwells are remembered in this church, St Robert's aunt and uncle. 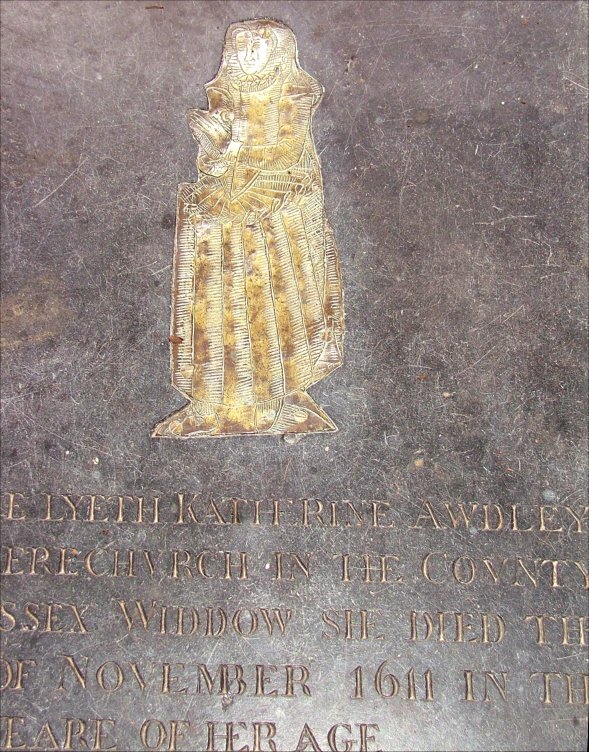 She is Katherine Awdley, and her highly polished brass effigy lies in the middle of the church. This is one of the brasses pilfered from Morton, but Lady Prince-Smith told me that it was brought back and handed to her personally by the person who had taken it when she restored the church. "Of course, he had only taken it to protect it", she said, which I thought was very charitable. The other brass that is missing was set in the back of the tomb chest in the north aisle. 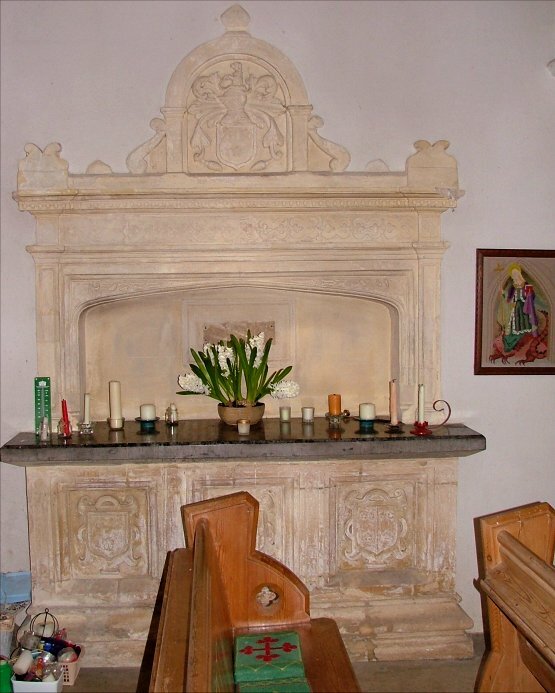 It was an inscription to Katherine's brother, Thomas Southwell, and Lady Prince-Smith told me a curious story about it. One day in the 1980s, when she was away from Morton, an elderly gentleman turned up at the Hall and said he had something for her. When prompted, he unwrapped a package to show the missing brass, but he refused to hand it over to anyone except Lady Prince-Smith in person. He went away, but never came back. 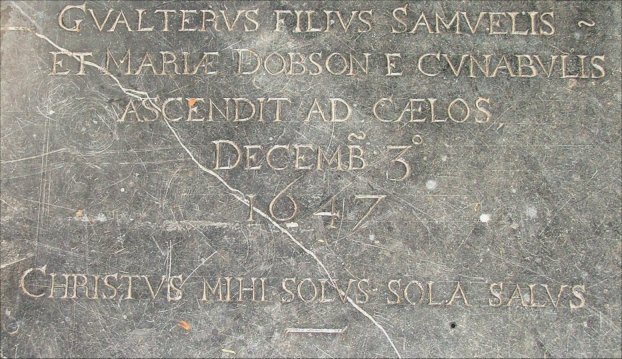 To this day, nobody knows where this valuable 16th century brass is, but it would appear that someone, somewhere, is keen for it to be returned. Perhaps somebody who knows something will read this, and get in touch.